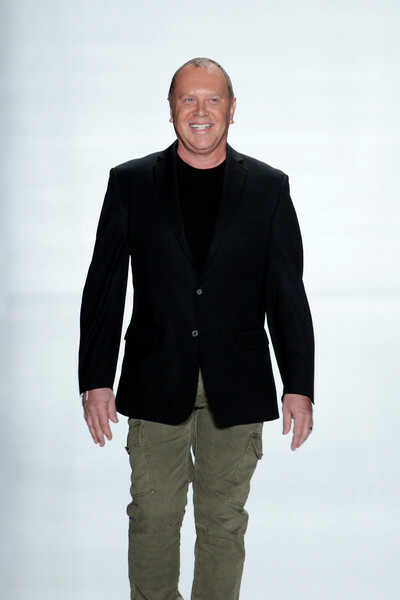 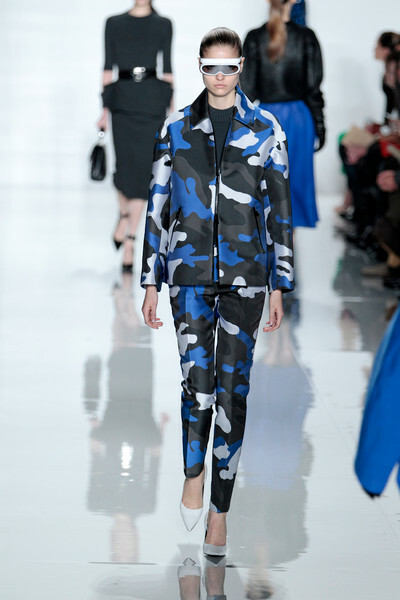 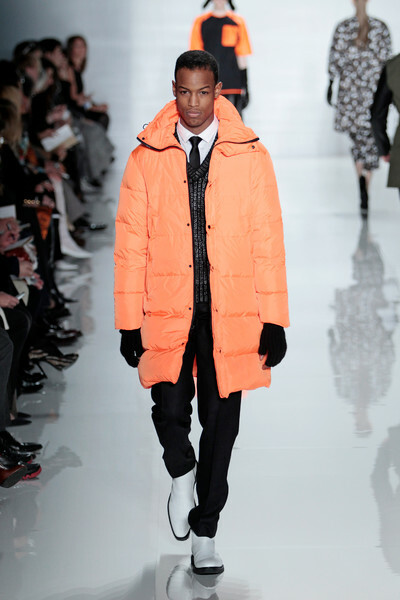 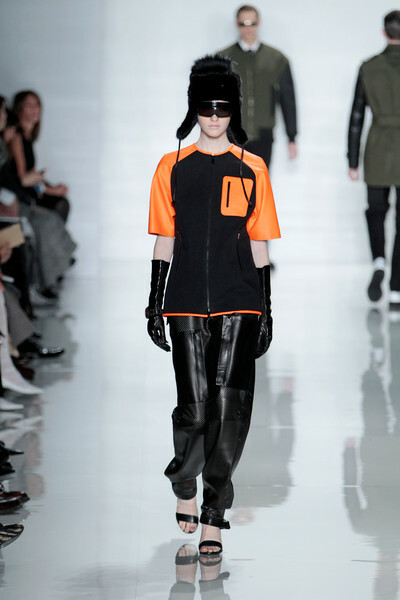 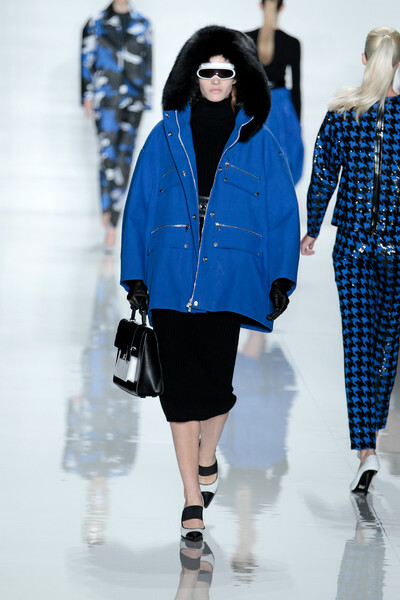 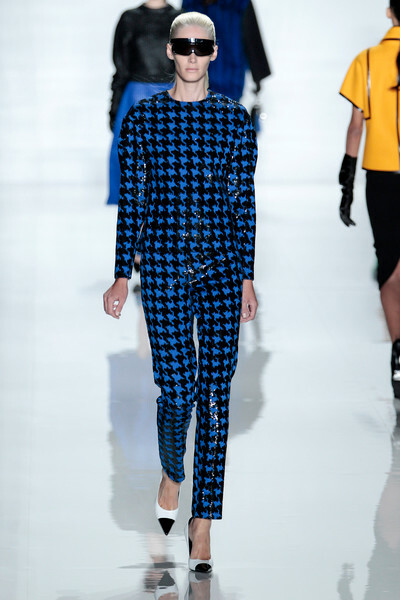 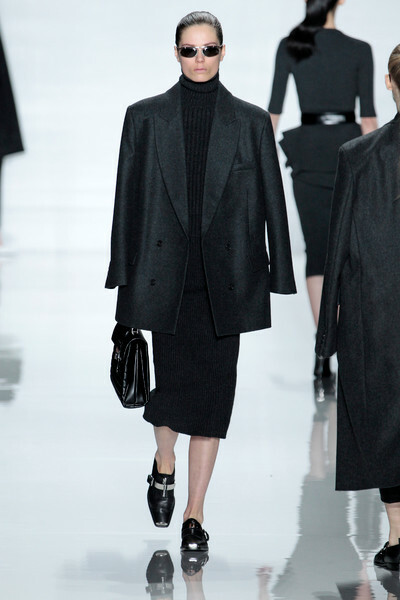 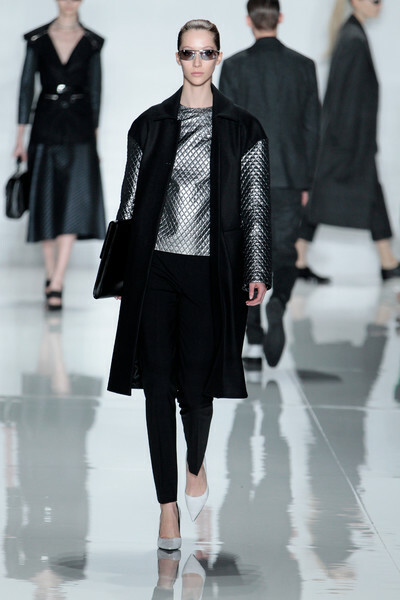 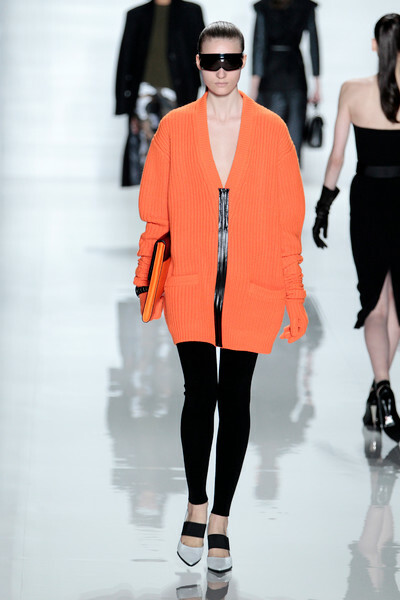 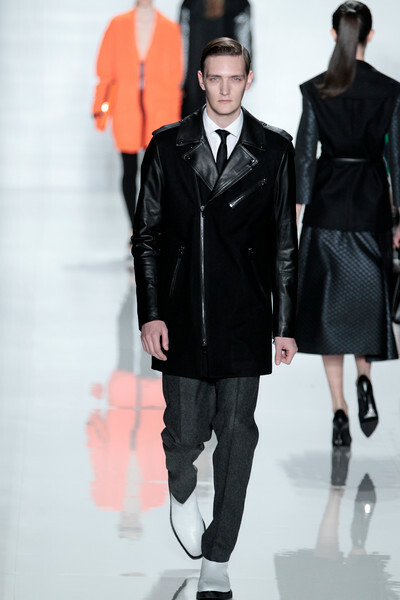 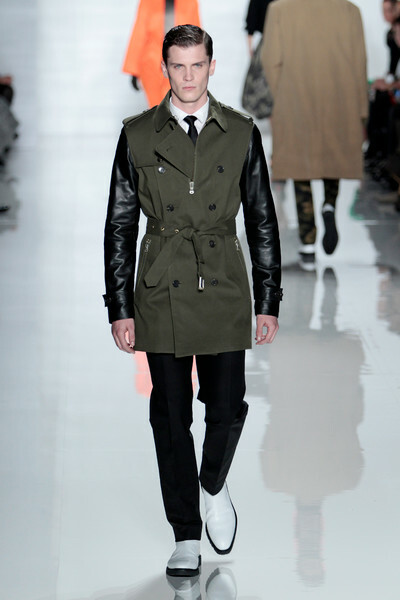 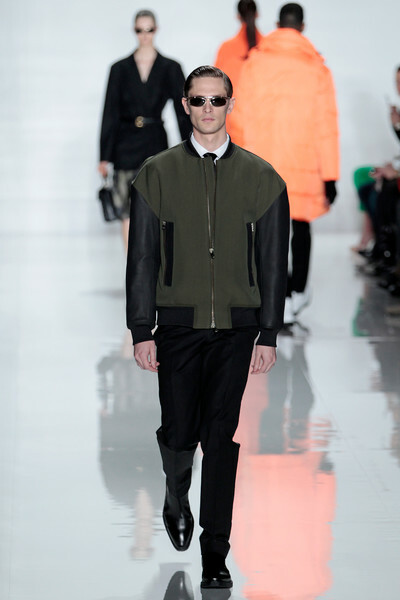 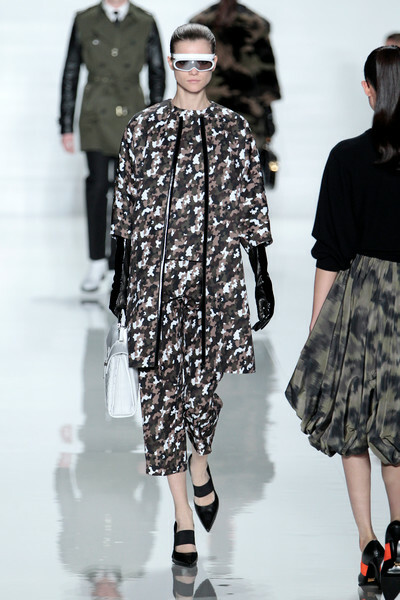 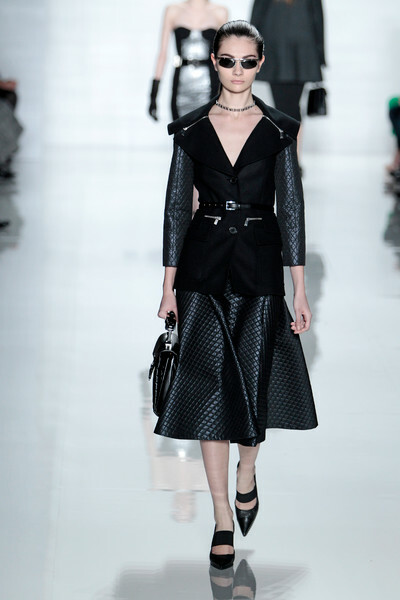 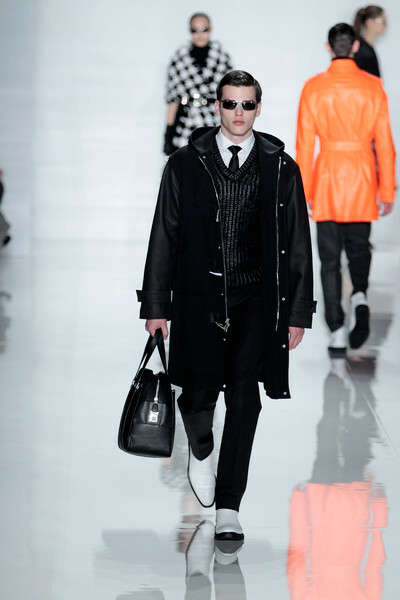 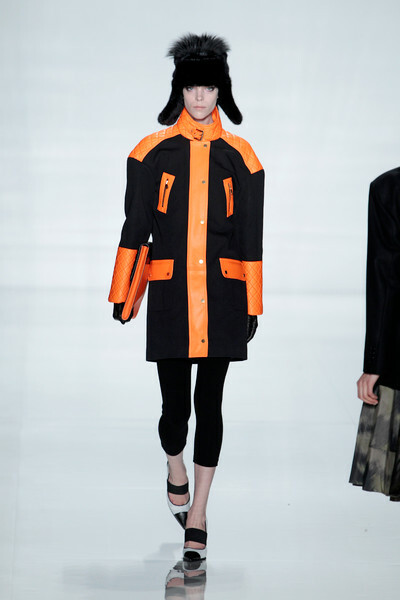 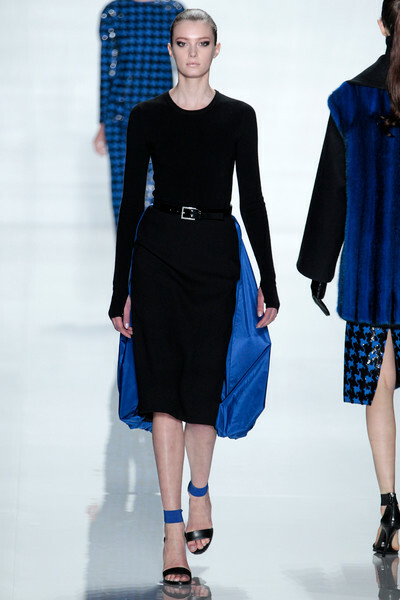 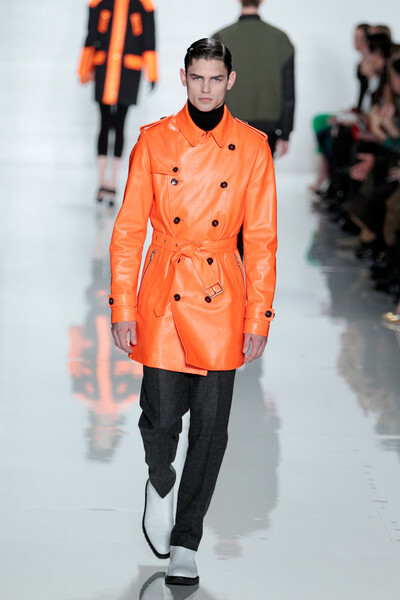 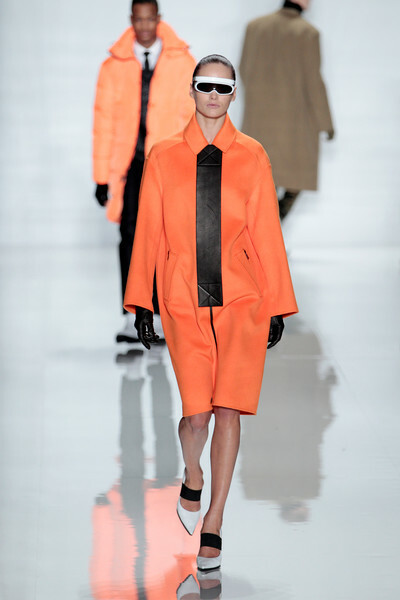 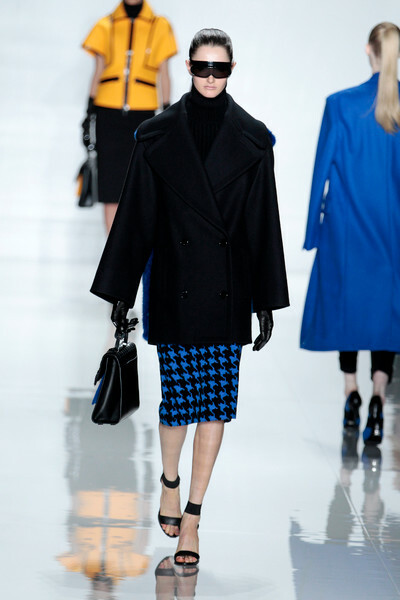 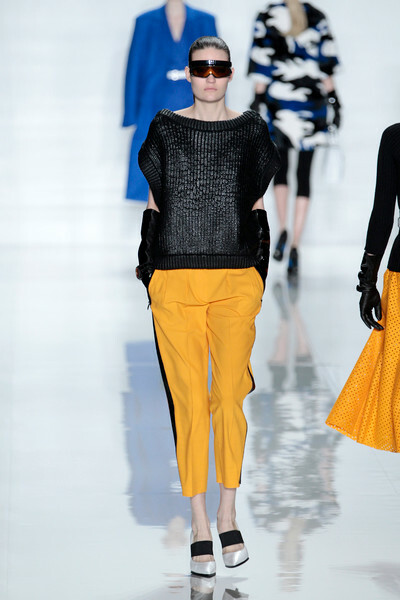 Michael Kors went for the urban and sporty for his fall 2013-collection. 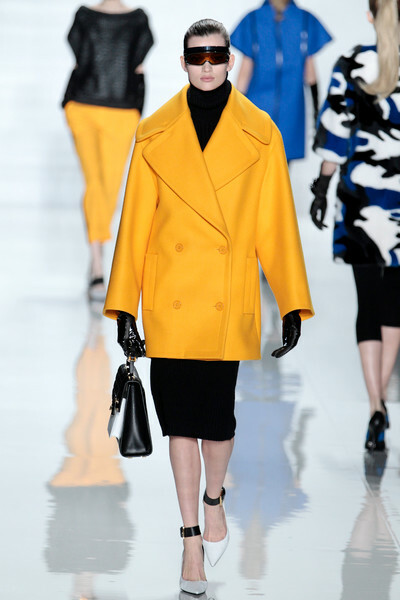 He took the yellow and orange from the New York streets and mixed them the city’s favorite dress-color: black. 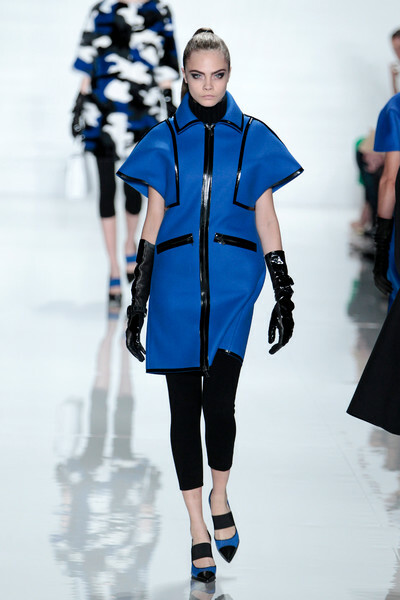 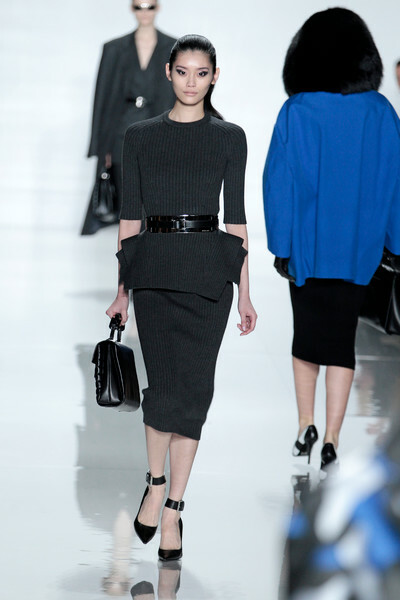 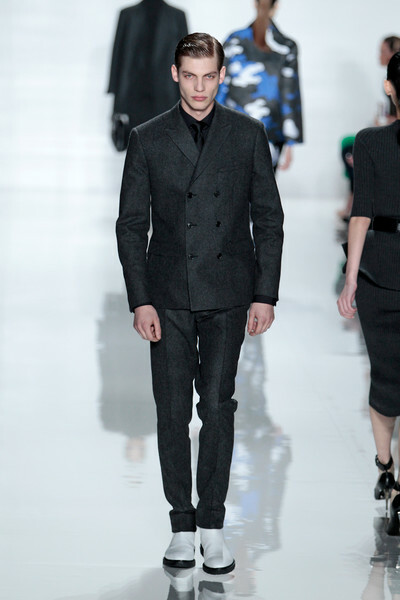 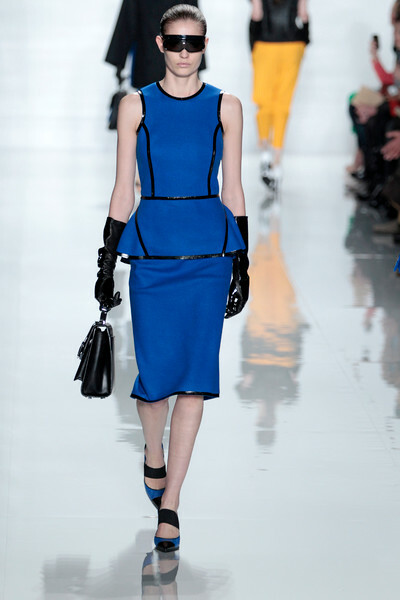 Many of the tailored pieces seemed built for speed with rounded shoulders and aerodynamic construction. 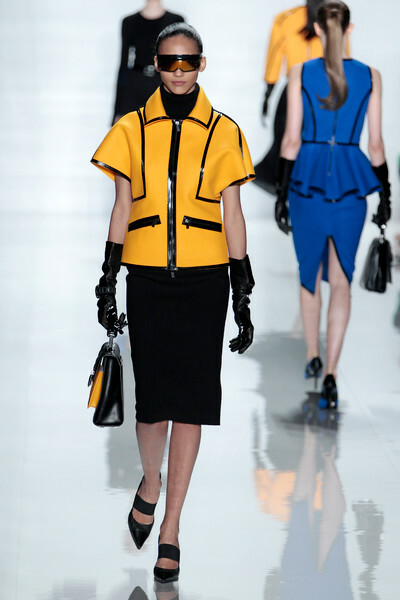 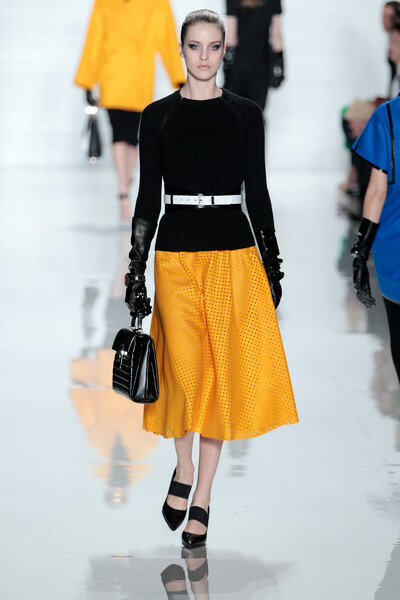 Black patent trim and taped gave it all a vibe of fast sport like car racing. 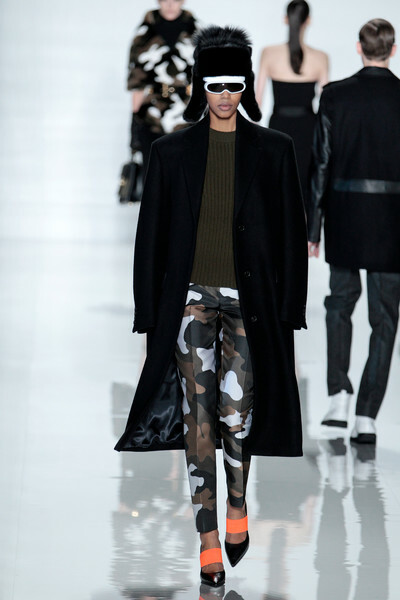 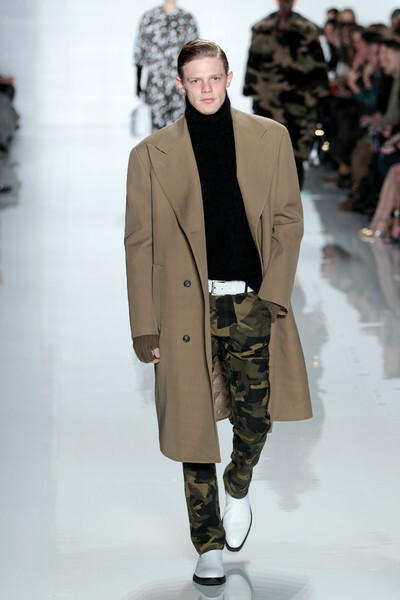 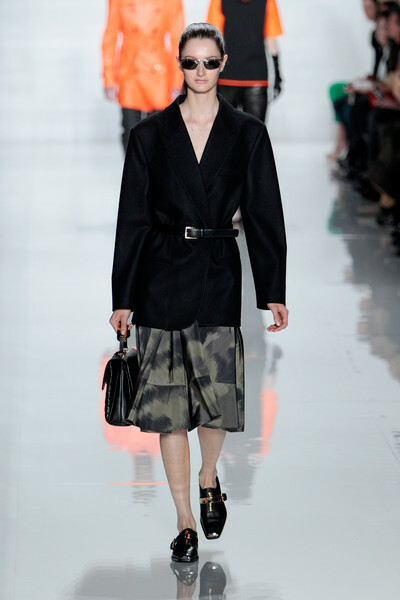 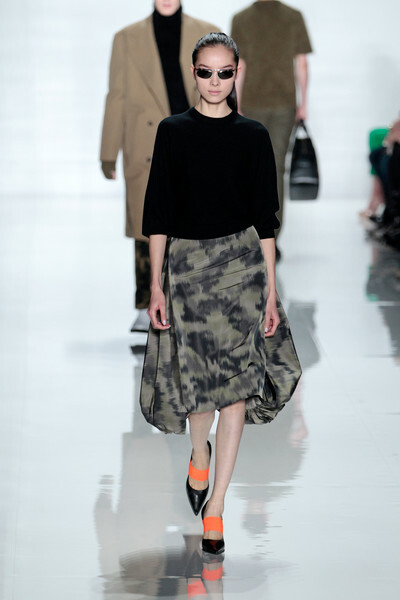 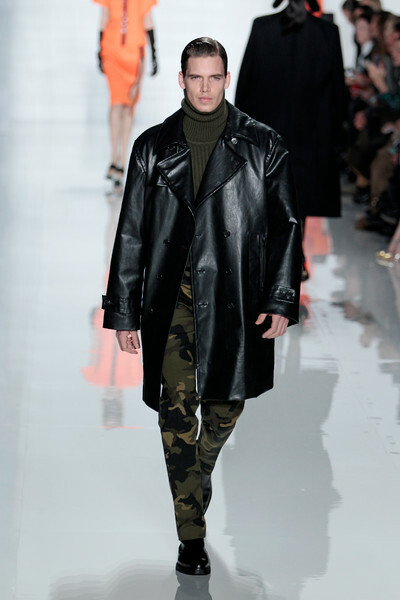 Kors also used all sorts of camouflage, most luxuriously in multicolor mink. 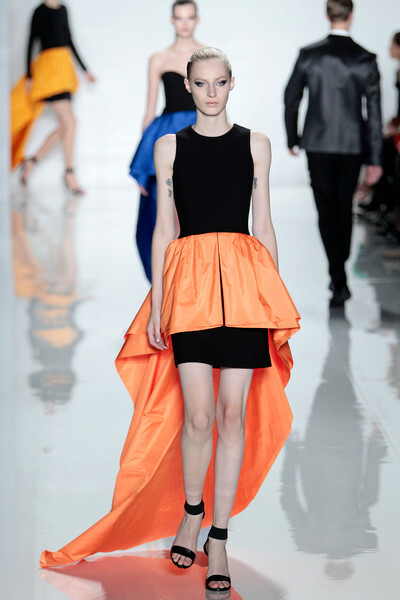 Kors’ idea for evening are a fitted minidress with a long peplum overskirt.